Fed up with throw-away electronics? Want to do something about it? You’re in the right place. 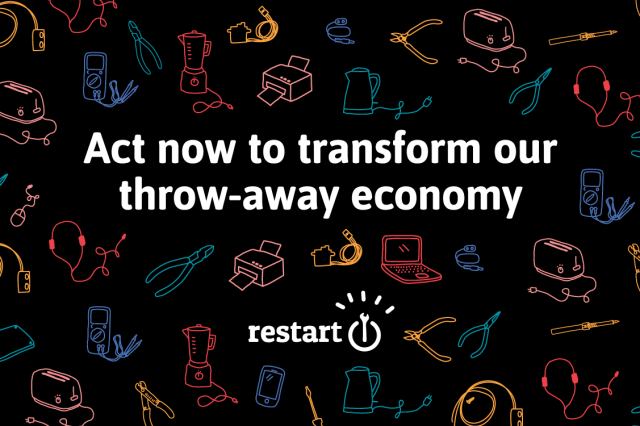 Here’s how you can get involved in Restart, and do your bit to dismantle the e-waste mountain. . 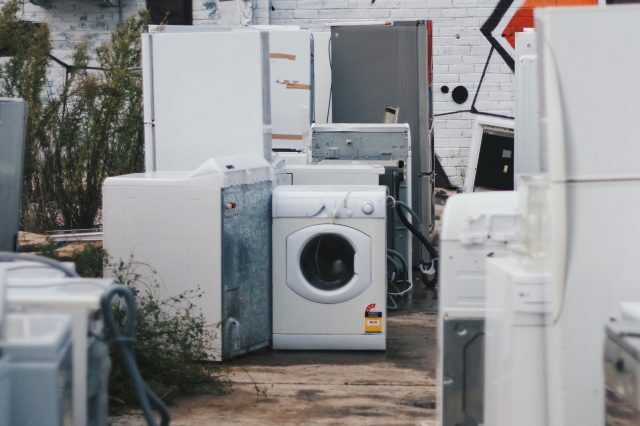 This month and in January, the EU member states may throw out over two years’ work on creating better product standards for appliances and electronics. 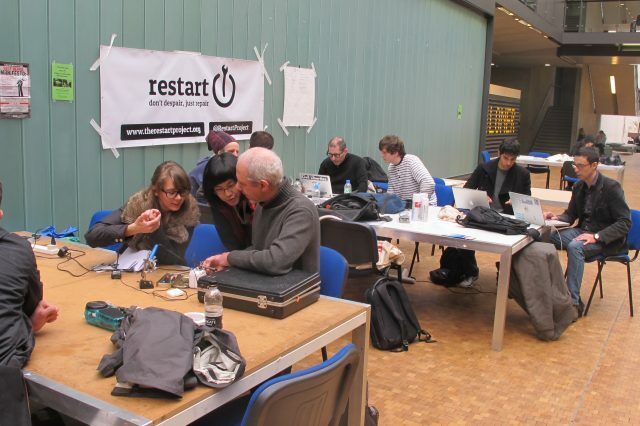 We need to pressure the UK to support our right to repair. 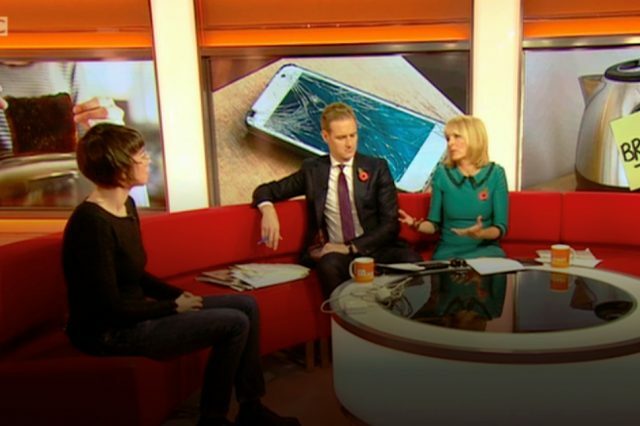 We appeared this week on BBC Breakfast, talking about the importance of repair. Here is a summary of what we do and why repair is so crucial to fix our throw-away economy. 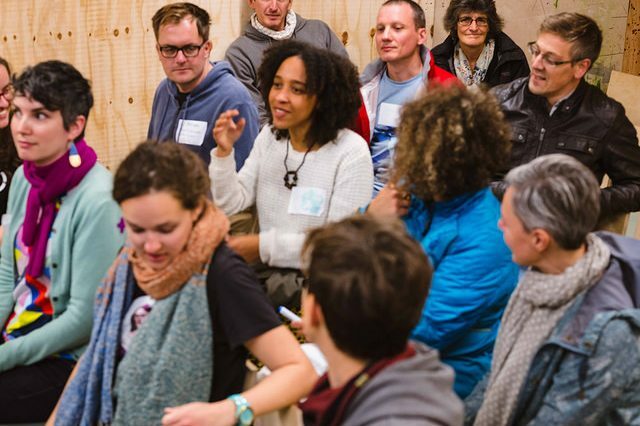 On Saturday in Manchester, 59 community repair activists from all over the UK got together to mingle, share, help each other out and think collectively about growing our movement and bringing down the barriers to repair and longer-lasting products. We’re urgently mobilising to save the crucial, pro-Right-to-Repair measures in the European Commission’s “Circular Economy Package”. We stand to lose over two years’ work on creating better product standards for longer-lasting appliances and electronics. After summer holidays in August, we are back on Restart Radio. 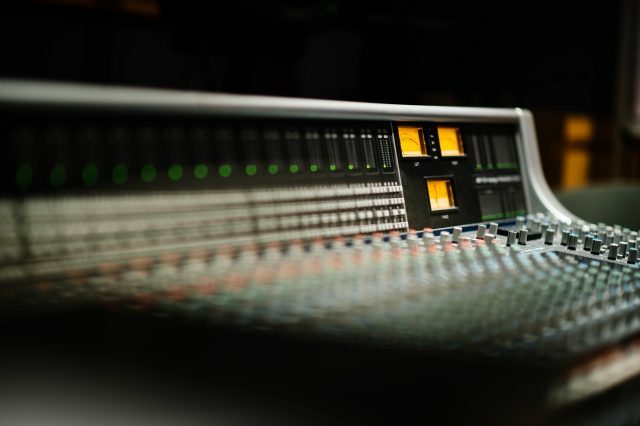 We now have a new slot with Resonance 104.4FM at 5pm on the second Tuesday of each month. We will also keep producing a monthly podcast with Dave Pickering, which will be published on our website. 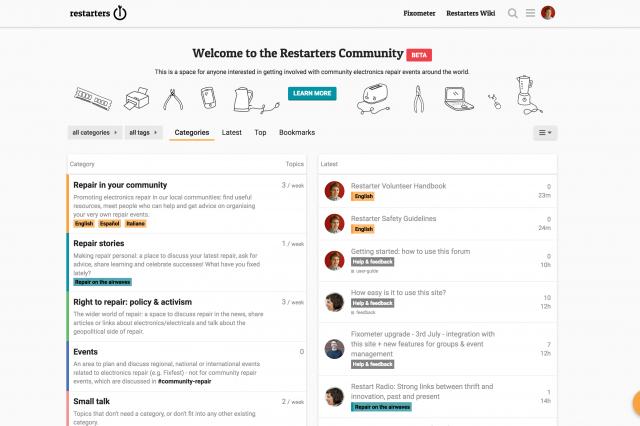 Restarters.net combines our tool for organising events and measuring their impact (AKA the Fixometer) with our wiki and a new discussion forum. 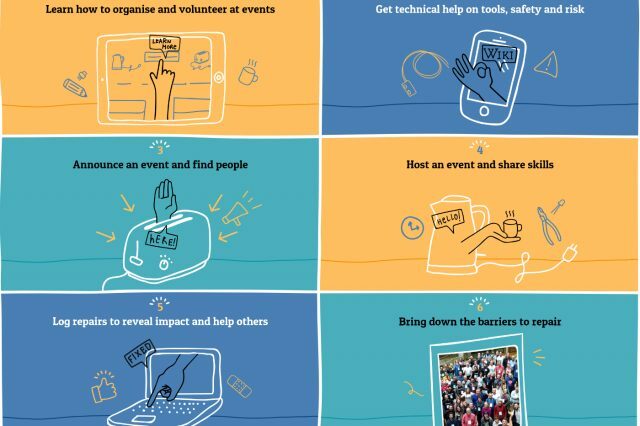 This is the first global space for fixer volunteers to join with event hosts, and spread community repair.